Having previously discovered this book via a free Kindle offer to mark National Flash Fiction Day, I was pleased to be offered a free review copy of the new paperback edition. 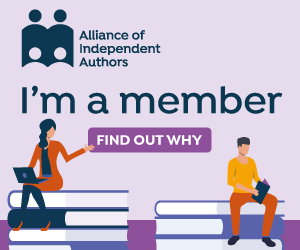 When I first read the e-book, I wanted to have something physical to show people when I told them about it, because this is the sort of book that you really want to tell your friends about. I also wanted a print copy to reread when in the mood for a quick burst of intrigue and interest. The dazzling fireworks picture on the cover is a terrific analogy for the nature of flash fiction when it’s done well: a shorthand for the brief, showy burst of brilliance that triggers breathless cries of ”ooh!” and “aah!” from the audience. And the stories in Helena Mallett’s slim volume are very good indeed. Most of the titles are proportionally sparse – a word or two, no more, to prime the reader for the economy of the tale that follows: Fear, This Time, Ghost Story, Taut Trousers. The expectations created by each title may or may not be turned upside down in the subsequent few paragraphs, but whether or not there is a twist in the tale, each one, like a firework, burns deep into your consciousness. Though the words may be gone in a flash, each story lingers to be savoured long after the immediate experience is over. Enjoy. And Enjoy. And Enjoy. 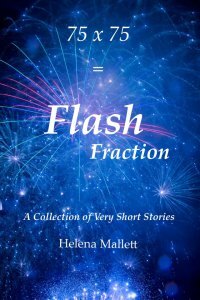 Helena Mallett’s author website is www.helenamallett.wordpress.com.